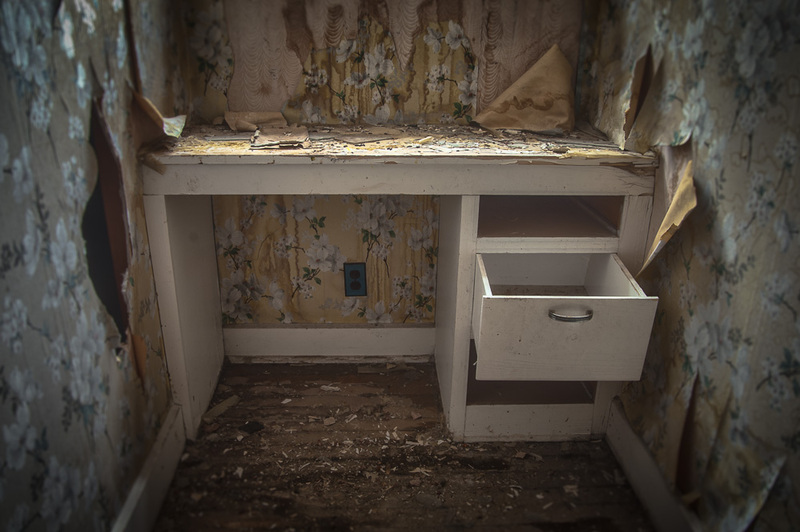 A small writing desk sits surrounded by peeling wallpaper and crumbling plaster board. I believe this building was part of the female quarters for the mine workers, rows of these houses were similarly laid out and decorated. The bright and cheery wallpaper is a stark contrast to the decay and abandonment that has crept in over the decades.